As we move headlong into 2018, we observe the tech around us evolving to become easier and more accessible to use. This goes for everything from the way we clean our homes, to how we commute to work, to the way we pay for our groceries. Just recently, mobile wallet provider Irispay launched their new E-concept Store in busy Subang Jaya. Located in SS15, the store follows in the footsteps of of Amazon’s Go and Alibaba’s Tao Cafe by completely eliminating the need for human staff, instead allowing customers the ability to select and purchase items from blocks of vending machines. Inside the store, customers will first notice vertical columns of vending machines arranged by the countries from where the contained products come from. Buyers will have access to a selection of fast-moving products from countries such as Japan, Hong Kong, China, Korea, as well as Malaysia. These include instant ramen, fruit-flavoured drinks, and even condoms. 1. Make a selection at the machine. 2. Scan the prepared QR code via the Irispay app. While Irispay’s E-concept Store isn’t the first or only store in Malaysia employing the unmanned business model (there’s already Mama 11 Mart in Penang and Melaka), they are the first of such stores to open within the Klang Valley. According to a spokesperson from Irispay, their decision to open their first store in Subang was down to the large number of students—their primary target market—within the vicinity. It also helps that the store operates around the clock, affording late night crammers another option to satiate their cravings during the wee hours. It’s also worth noting that as the mobile wallet market slowly reaches saturation with more players entering the fray (Alipay, GrabPay, MOLPay are already here), it’s interesting to see how Irispay’s tactic of driving traffic to its own service through a convenience store will pan out. Irispay says that they hope to expand to as much as 250 stores nationwide within 2018, and it remains to see how other more traditional convenience stores such as 7-11 and Family Mart plan to adapt to the unmanned model of business. Will we eventually do away with the traditional check-out counter, or will the human element hold its ground? We can’t say. But for now, let’s just be thankful that we have another place from which to get 3AM Meiji Milk. 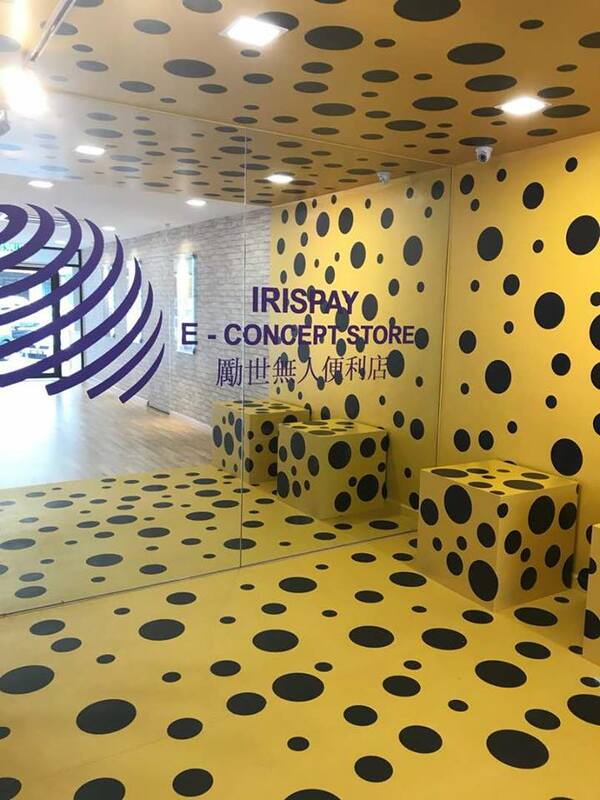 The Irispay E-Concept Store is located at 43, Jalan SS15/4, SS15, 47500 Subang Jaya, Selangor. Its opening hours are 10.00am to 10.00pm daily. The shop will operate 24/7 after the official launch later this month.